We probably don't know all of the Pools in Venezuela. Are you missing any? Contact us!. Swimia.com has probably the most up-to-date database on the internet about virtually any Venezuela Swimming Pool. Classified by countries, regions and cities, it can be simple to find the nearest pool at the places you visit. 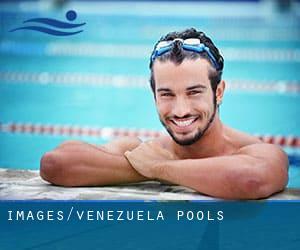 For Venezuela, you are able to have a look at the pools we have gathered for you. Please get in touch with the sports center in Venezuela to check which activities are becoming offered and their timetables, given that Venezuela Pools could possibly have various rules and fares than other places. Are you a normal swimmer? Have you ever practiced Aquagym in Venezuela? Let us know!. Going to a Venezuela Swimming Pool is increasing especially within the elderly population sectors of Venezuela, who've suffered some type of muscle or bone damage. 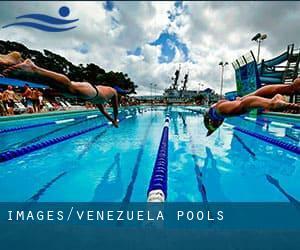 Regular users from the following Venezuela Pools told us one of the most important point about swimming would be to control your breathing. At times this is not possible because we raise the neck to breathe as well as the body is not aligned. To avoid this, our head should be aligned with our spine all the time. One with the advantages of outdoor swimming in Venezuela may be the possibility to sunbathe throughout the summer time season. Taking it with additional care, sunbathing is healthy given that introduces Vitamin D into the body, so the perfect alternative seems to be switching between indoor and outdoor pools depending on the season. There are a few reasons why you should choose a heated swimming pool in Venezuela. The most essential one relies on the importance of keeping the body temperature stable. If the water is too cold, your body will try to warm it up and you will shed strength to swim correctly. Enjoy the best indoor pools in Venezuela and don't worry about the weather. These facilities are open all seasons and you can enjoy a swim at the same temperature every day of the year. Holding an estimated population of 2.225.000, Maracaibo is one of the most important cities in Venezuela. Check all of the Swimming Pool in Maracaibo and its surrounding area. Whereas Valencia is among the six most populous cities in Venezuela with nearly 1.385.083 residents, you shouldn't miss that one if you're going to Venezuela. Without a shadow of a doubt, swimming in Maracay may be the very best technique to unwind following work. Take a couple of minutes to browse Swimia's catalog to find a Swimming Pool in Maracay. Swimming is really a great concept to keep your body active throughout your visit to Caracas (Venezuela), or perhaps for anybody who is a local. Swimia helps you to find your closest Swimming Pool in Caracas. Avenida Intercomunal Andres Bello , Barcelona (Postal Code: 6046). This great and large sports center lets professional swimmers like you enjoy Olympic size x 20 meters, 8 lanes, Outdoors. Additionally, within these facilities you can try 20 meters x 20 meters, 8 meters depth diving pool, 8 meters depth diving pool, Outdoors. Unfortunately we do not have the email address of this Swimming Pool, but we can provide you with the phone number. Polideportivo Máximo Viloria, Avenida Libertador, across from the Coromoto Church , Barquisimeto (Postal Code: 3001). Swimmers like you reported Olympic size x 25 meters, 8 lanes, Outdoors. Unfortunately we do not have the email address of this Pool, but we can give you the phone number. Avenida Morán at Avenida Los Abogados , Barquisimeto (Postal Code: Unknown). This sports center offers 25 meters, 6 lanes, Outdoors. For this Swimming Pool, only phone number is number here. Final Av. Principal de las Mercedes , Caracas (Miranda) (Postal Code: 1060-A). Swimmers like you reported An approximately 20 meters long, Outdoors. Phone number and email address are number for this Swimming Pool. Avenida Romulo Gallegos , Urbanización Sebucán , Caracas (Miranda) (Postal Code: Unknown). Among all the activities offered by the center, if you're keen on swimming you'll take pleasure in Olympic size, 8 lanes, Outdoors. Just in case you want to contact this Swimming Pool before dropping by, we only know the phone number. Updated on 2019 Avenida Andres Bello at Avenida Jesus Soto , Ciudad Bolivar . Among all the activities provided by the center, for anybody who is considering swimming you may enjoy 25 meters with lane lines on one side, Indoors. Just in case you would like to contact this Swimming Pool just before dropping by, we only know the phone number. Avenida Guayana Parque Punta Vista Puerto Ordaz 8015-A , Ciudad Guayana . Swimmers like you reported 25 meters, Outdoors. Phone number and e-mail address are number for this Swimming Pool. Avenida Alberto Revell across from the Polideportivo Florentino Oropeza , San Felipe (Postal Code: 3021). Swimmers like you have reported Olympic size x 15 meters, 8 lanes, Outdoors. Also, you will find 17 meters x 15 meters, 6.3 meters depth, 6.3 meters depth, Outdoors. Just in case you want to contact this Swimming Pool before dropping by, we only know the phone number. Updated on 2019 Via Pampatar - Guacuco , Caserio Guerra , Sector Apostadero, Isla de Margarita . This sports center provides Olympic size, 8 lanes (yes, Outdoors. For this Swimming Pool, only phone number is number here.